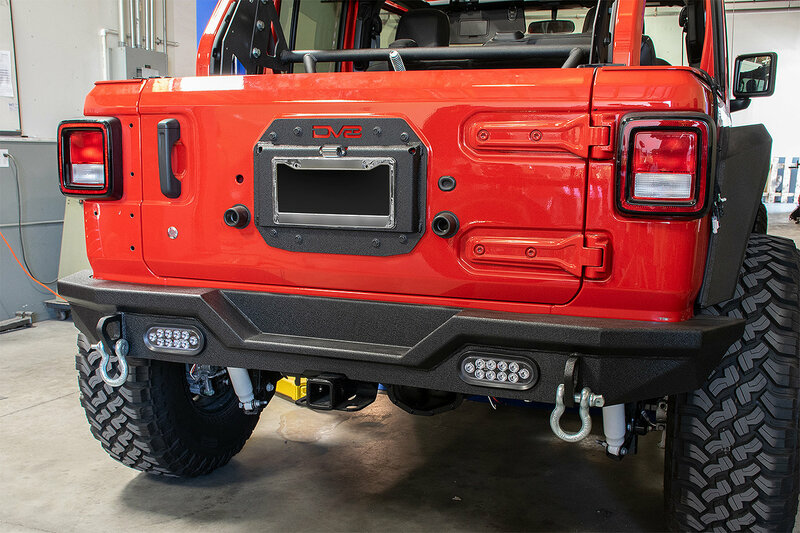 If you are thinking about taking your spare tire off or even relocating it on your Wrangler JL one thing to consider is what to do with the space that is left. 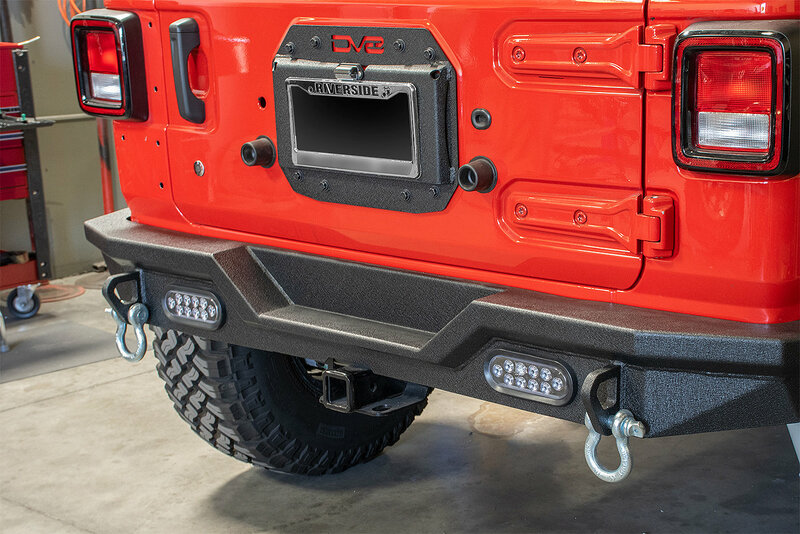 Leaving it would create an eye soar that will make your Jeep stand out in the wrong way but with DV8's Spare Tire Delete Kit you can add style while cover up the space left. Made from 3/16" steel this delete kit fits flat against the body of your Jeep and has vents for air flow so you do not have to worry about removing the stock air vent flaps. Design: Fits over the raised vent area of your tailgate that is under your spare tire. Vented so you will still get proper air flow. Sits flat against the tailgate, once you remove the factory air vent flaps, giving your Wrangler JL a nice clean look. 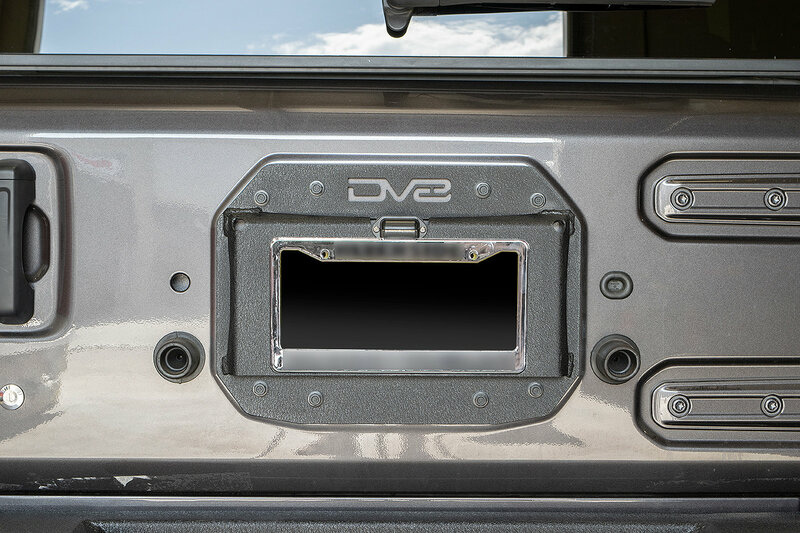 Gives you a place to mount your license plate as well as an LED light to light up your plate. Construction: Made from CNC laser cut 3/16" steel for a perfect fit and look. Black powder coat finish to protect from corrosion and scratches. Installation: This is a simple bolt on installation. This delete kit requires you to remove the factory air vent flaps then bolts on to the stock tire carrier mounting bolts.